I am especially excited to contribute this trail type because it is the first on my own property! I designed the sign using my own Zenith DJR typeface, and my partner Emily laser cut it and painted it. 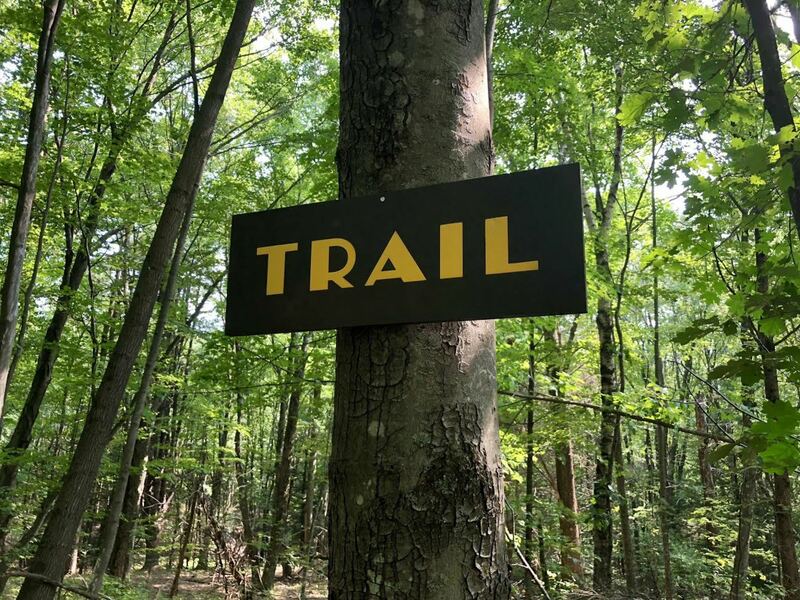 It marks the trailhead for the trail heading south from our house, and is the starting point for many of our local hikes.